DUI along with their European partners, BtS Europa AG and CCR Sp. Z o.o. has acquired Ocean Management Systems (OMS), a maker of high-quality, technically-oriented dive equipment. The new company will be called Ocean Management Systems GmbH and will be based in Germany. "The OMS brand is recognized worldwide with a solid reputation", said Susan Long, President and CEO of DUI. "Our goal is to bring divers the quality products they have come to expect from OMS combined with DUI's reputation for exceptional customer support. Our partner, BtS, will do the same for divers throughout Europe. We will be working hard over the next couple of months to streamline the OMS product line with a release in early 2015." DUI will distribute OMS throughout North America, Central and South America, Australia, Korea and Japan. BtS will distribute OMS throughout Europe, Russia and China. International DISTRIBUTORS interested in OMS should contact Thomas Dederichs at OMS@BtS-eu.com. Both DUI and BtS look forward to meeting interested dealers at major upcoming shows such as the Diving Equipment & Marketing Association (DEMA) Show in Las Vegas, November 19-22, 2014 and Boot Show in Düsseldorf January 18 – 25, 2015. About Diving Unlimited International, Inc. 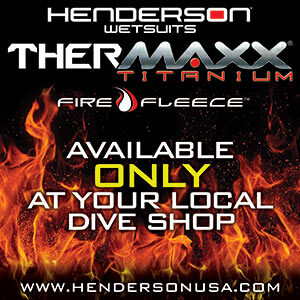 The world's leader in keeping divers warm and comfortable, Diving Unlimited International, Incorporated (DUI) is a company specializing in the designing and manufacturing of drysuits, diver thermal protection and high performance diving equipment. Located in San Diego, California, DUI has been serving recreational, public safety, scientific, commercial and military divers since 1963. DUI's equipment is designed and manufactured in the USA and distributed through over 400 dealers in North America and exported worldwide to over 40 countries. About BtS Europa AG and CCR Sp. Z o.o. BtS began as a key player in steel and aluminum dive cylinders in 1993 and quickly became one of the biggest European distributors of premium diving equipment with a well-established dealer network. BtS products are used not only by recreational and technical divers but by exploration and scientific research divers, public safety divers and military Special Operation Units all over the world. At BtS, diver feedback is paramount to the development of better and safer equipment for the benefit of all divers. CCR is a Polish dive company established in 2003 in Czestochowa and founded by Robert Jablonski. CCR occupies a leading position in the Polish diving market and neighboring countries. In addition to dive equipment, CCR specializes in technical dive equipment including rebreathers as well as training for technical and cave diving in both open and closed circuit.